The following is my report on Elder D. Todd Christofferson's BYU-I devotional address from September 24, 2013. Originally posted on the FairMormon Blog, October 2, 2013. It seemed like an appropriate post just before General Conference. Back in April, I did a blog post on some of the apologetically relevant statements from General Conference, including the instruction, from Elder Robert D. Hales, to “protect and defend the kingdom of God.” Well, as with most things our leaders teach us to do, they are also doers of the word who practice what they preach. to think that this boy growing up in a poor family, in the smallest of small towns, in a country of limited influence and prestige in the world should come to such prominence that his name would be had for good or ill among all nations, kindreds, and people—it was truly (to use an overused word) incredible. Nevertheless, it is a prophecy that has been fulfilled in significant measure and that is more fully realized year by year. Elder Christofferson talks about the monumental Joseph Smith Papers Project, as research initiative by the Church Historical Department intent on publishing every document written or commissioned by Joseph Smith. He notes that this “expanding access we enjoy to the Prophet’s work and teachings fills previous voids in our knowledge, confirms some things we already knew or thought, and supplies answers to questions we might have had. The information also raises new questions and highlights new areas of inquiry to pursue.” He also stresses that, “we ought not to expect in this life to know all the answers (or for that matter, all the questions).” This wide access to information of Joseph Smith, however, facilitates both aspects of Moroni’s prophecy – both the good and the evil to be spoken of Joseph Smith. Elder Christofferson reminds his audience of this, and offers three important principles to be applied when encountering the “evil” that is spoken of the prophet, his work, and his teachings. You know, of course, that as prophesied by Moroni, there are those whose research relating to Joseph Smith is not for the purpose of gaining added light and knowledge but to undermine his character, magnify his flaws, and if possible destroy his influence. Their work product can sometimes be jarring, and so can issues raised at times by honest historians and researchers with no “axe to grind.” But I would offer you this advice in your own study: Be patient, don’t be superficial, and don’t ignore the Spirit. Given current means of verification, positive evidence is here to stay, but negative items may prove to be positive ones in hiding. “Missing” evidence focuses further research, but it lacks the compelling logical force in arguments because it represents the absence of information rather than secure evidence. As an example of this, Elder Christofferson cites a FairMormon blogpost by Book of Mormon scholar Matt Roper, which deals with steel in ancient Israel and the Book of Mormon. While no evidence supported the idea of a sword of “most precious steel” existing in 600 BC Jerusalem at the time the Book of Mormon was published (a lack of evidence that persisted for more than a century), it is now an accepted fact that the steeling of iron was known to Israelites well before Nephi’s time, and steel swords contemporary to the Book of Mormon account have been unearthed in the area. This is but one of many examples that could be given. John E. Clark has collected sixty examples of alleged anachronisms that have been used against the Book of Mormon since 1829 and found that about sixty percent of them have now been verified by archaeology, while suggestive evidence has emerged for another ten (of the sixty) criticisms, though this evidence remains inconclusive. All in all, this means that evidence is more favorable to some degree now than it was in 1830 in seventy-five percent of the sixty cases. 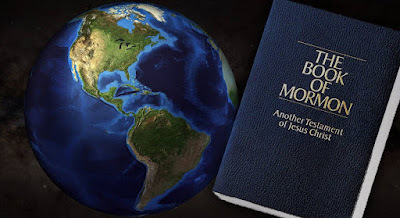 Researcher Kevin Christensen recently reevaluated a Book of Mormon critique from 1982 to make the same point: with time (and research), many claims made against the Book of Mormon begin to look out-dated as new evidence offers support. This leads well into Elder Christofferson’s second point, to not be superficial. Accepting the claims of critics or, as Elder Christofferson calls them, “insincere seekers,” at face value can be ill advised. Drawing on the words poet Alexander Pope, Elder Christofferson advises us to “drink deep” from the fountain of knowledge. Serious inquiry requires the time and patience mentioned above, and it rarely, if ever, assumes the “obvious” from quick and superficial study. While some honestly pursue truth and real understanding, others are intent on finding or creating doubts. Their interpretations may come from projecting 21st Century concepts and culture backward onto 19th Century people. If there are differing interpretations possible, they will pick the most negative. They sometimes accuse the Church of hiding something because they only recently found or heard about it—an interesting accusation for a Church that’s publishing 24 volumes of all it can find of Joseph Smith’s papers. They may share their assumptions and speculations with some glee, but either can’t or won’t search further to find contradictory information. Finally, don’t neglect the Spirit. As regards Joseph Smith, we seek learning both by study and by faith. Both are fruitful paths of inquiry. A complete understanding can never be attained by scholarly research alone, especially since much of what is needed is either lost or never existed. There is no benefit in imposing artificial limits on ourselves that cut off the light of Christ and the revelations of the Holy Spirit. In matters of faith, a spiritual witness is essential if one is to avoid being “tossed to and fro, and carried about with every wind of doctrine, by the sleight of men, and cunning craftiness, whereby they lie in wait to deceive. [Eph. 4:14]” With a Spirit-derived assurance in place, you can go forward in the Lord’s work and continue deepening your relationship with your Heavenly Father while pursuing or awaiting answers. If you determine to sit still, paralyzed until every question is answered and every whisper of doubt resolved, you will never move because in this life there will always be some issue pending or something yet unexplained. Ultimately, some answers will never come in this life. Faith is a principle of action, and it is in the acting that we often gain our testimonies. We must not let unanswered questions keep us from exercising our faith. Joseph Smith’s prophetic calling is key to our religion. Without his commission from the Father and the Son, without his priesthood ordinations and the keys he received at the hands of duly appointed heavenly messengers, without the fullness of the gospel restored through his visions and revelations and his translations of the Book of Mormon and the Bible, what we would have is something much less than true Christianity. It is critical that we gain a witness of these things by study and above all, by the teaching of the Holy Ghost. He also adds that, “Despite all this, however, I remind you that Joseph Smith is not our foundation—it is Jesus Christ and Him crucified and resurrected. Joseph Smith, Jr. was called of God ‘to be a translator, a revelator, a seer, and a prophet.’ [D&C 124:125]” While Elder Christofferson may seem, to some, to have departed from apologetics, I think here Elder Christofferson actually does something that is an important part of good apologetics: rather than just respond to objections, or talk about how to handle criticisms, Elder Christofferson also seeks to build faith. He does this by discussing the important things Joseph Smith accomplished as a prophet of the Lord Jesus Christ, and bearing testimony of those things. In apologetics, we must do more than simply address the negative. We must also provide the positive. We must give people reasons to believe. This can be done in a number of ways; bearing testimony, sharing evidences, or telling personal experiences of how the gospel and the Church have blessed you are only some examples. The exact method (or combination of methods) should probably be adapted based on circumstances, but it is always important to try and give the person who is doubting something positive to build on. I bear witness of Joseph Smith’s prophetic calling, and to his magnificent revelation of Jesus, I reverently add my own testimony of the Christ. I too know that Jesus of Nazareth is the Son of God and the Savior of the world. He stands at the head of The Church of Jesus Christ of Latter-day Saints. He is the Redeemer, and His grace is sufficient. I pray that all may receive the testimony of Joseph Smith and come unto Christ, in the name of Jesus Christ, amen.